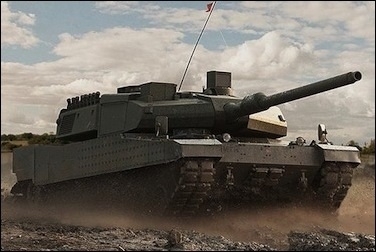 Last month, privately owned Turkish diesel engine and tractor manufacturer TUMOSAN signed a €190 million (US $203 million) contract to design and develop an indigenous engine for Turkey's new-generation Altay battle tank (prototype shown above). ANKARA — Most Turkish programs in recent years have gone with the priority tag of "indigenous." Yet all of the indigenous programs, whether naval, ground or air, lacked an indigenous engine. Turkey is now trying to earn the technology to build one. "Locally developed engines inevitably will be an important part of Turkish procurement strategy in the years ahead," one senior procurement official said. "The idea is to buy know-how [from foreign firms] and localize it over the course of time. We aim at 100 percent Turkish engines for future platforms of all sorts." Another procurement official specializing in engine programs said a recent study found that Turkey could earn fully indigenous engine technology in the next five to 10 years if it fully implements a proposed roadmap. "Perhaps we should have launched this effort years ago. Better late than never," the official said. "Each day without a solid national engine program would expose indigenous platform programs to the risk of further delays." Parallel efforts by one state-controlled and two privately owned companies to build indigenous engines are underway. Tusas Turkish Engine Industries (TEI), a government-controlled engine maker, has devised a 20-year roadmap for the design, development and manufacture of a local aircraft engine, company officials said. TEI hopes its indigenous engine will power the TF-X, the indigenous Turkish fighter jet to be developed. In March, TUMOSAN, a privately owned Turkish engine maker, signed a €190 million (US $203 million) contract with the government to design and develop an indigenous engine for the Altay, a new-generation tank the country has been developing. TUMOSAN's Power Group Development program signed the contract with the country's procurement office, the Undersecretariat for Defense Industries (SSM). 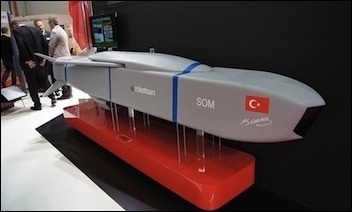 In August, Turkey's top procurement panel, the Defense Industry Executive Committee, tasked SSM with opening contract negotiations with TUMOSAN. The program involves the indigenous design, development, prototype production, testing and qualification of an engine for the Altay. Under the plan, TUMOSAN also will design and develop a transmission for the Turkish tank and produce critical parts for its engine, including the diesel pump, electronic control unit and injector. TUMOSAN said it aims to conclude the program within 54 months and "with maximum possible local content." It said it will obtain foreign know-how when necessary. TUMOSAN hopes that it will also develop variants of the planned engine for other land and naval platforms. TUMOSAN, founded in 1975, is a diesel engine and tractor manufacturer. It produces 75,000 diesel engines annually. The deal came as Turkey's procurement authorities were preparing to launch a multibillion-dollar competition for 1,000 Altays. The race for the serial production will involve an initial batch of 250 tanks to be followed by three orders, each comprising 250 more tanks. "This [program] will end Turkey's dependency on engines for military vehicles," said Kurtulus Ogun, TUMOSAN's general manager. Kale, a private Turkish aviation manufacturer, has completed the design phase of an engine for Turkey's SOM turbo-jet cruise missile. Ending dependency on imported engines for locally built platforms is the emerging Turkish ambition. Kale, a privately owned Turkish defense company, has said it completed the design phase of an engine it is developing for the SOM turbo-jet cruise missiles. Kale has pledged to deliver the first engine for the SOM in April 2016. "Turkey imports each SOM engine at $150,000 to $200,000," Kale's chief technician Osman Okyay said. "Our program will end engine imports for the SOM. We will then start exporting the engine." SOM is a next-generation high-precision cruise missile that can be launched from land, sea and air platforms. It was developed by TUBITAK SAGE, a state-run defense research and development institute. SOM was showcased in 2011 after five years of development work. It has a range of 180 to 200 kilometers. Okyay said that upon President Recep Tayyip Erdogan's orders, Kale will develop an engine for SOM with a range of up to 1,000 kilometers. Kale's work will make the basis for the indigenous engine Turkey hopes to develop for the TF-X. Kale is engine-maker Pratt & Whitney's Turkish partner. Last June, the two companies inaugurated a $75 million plant in Turkey for the production of critical engine parts for the F-35. Pratt & Whitney has a 51 percent share in the joint venture while the Turkish company holds the remaining 49 percent.